After six months with the ORBERATM two-part program, people lost an average 3.1x the weight patients lost with diet & exercise alone. Custom support provided by a team of experts. Learn healthy habits to help you keep the weight off even after the balloon is removed. #1 in global market leader. More than 220,000 devices implemented worldwide in over 80 countries. With the FDA approval of ORBERATM, patients now have a safe and effective treatment option. Actual costs will vary by ORBERATM Specialist so speak to a Specialist in your area about pricing. They can assist you in understanding your costs and financing options. With ORBERATM, people lost an average 3.1x the weight patients lost with diet & exercise alone. The comprehensive two-part weight loss program will help you create healthy lifestyle habits and maintain your weight loss over time. Now available in the U.S., ORBERATM is a clinically tested and proven weight loss solution that has helped people in over 80 countries. No fad programs. No surgery. Just results. Is ORBERATM Right For Me? While ORBERATM does not require surgery, any medical procedure requires careful thought and consideration. lifestyle choices. They will help you retrain your appetite, adopt new nutritional habits, and establish a reasonable exercise routine that will be essential to your long-term success. ORBERATM combines a clinically tested and proven medical device, with your own customized plan and support team, to effectively manage weight loss. The comprehensive, two-part program starts with a soft balloon placed in your stomach for six months to encourage portion control. A team of support experts will then help guide you through a diet and exercise program. At six months, the balloon is removed and your support team will continue to guide you toward making healthy lifestyle choices. They will help you retrain your appetite, adopt new nutritional habits, and establish a reasonable exercise routine that will be essential to your long-term success. 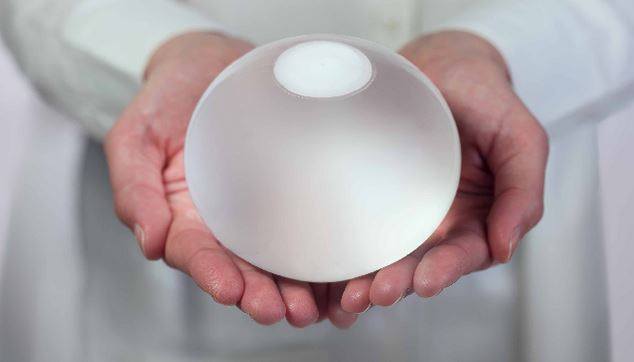 The ORBERATM Intragastric Balloon System is a weight loss aid for adults suffering from obesity, with a body mass index (BMI) ≥30 and ≤40 kg/m2, who have tried other weight loss programs, such as following supervised diet, exercise, and behavior modification programs, but who were unable to lose weight and keep it off. 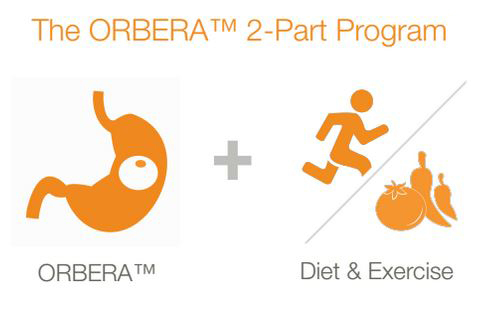 To receive ORBERATM you must be willing to also follow a 12-month program, beginning with the placement of ORBERATM and continuing for 6 months after, that includes a healthy diet and exercise plan. If the diet and exercise program is not followed, you will not experience significant weight loss results; in fact, you may not experience any weight loss. ORBERATM is placed for no more than six months. Any time that the balloon is in the stomach for longer than six months puts you at risk for complications, such as bowel obstruction, which can be fatal. Some patients are ineligible to receive ORBERATM. Your doctor will ask you about your medical history and will also perform a physical examination to determine your eligibility for the device. Additionally, at the time of placement, the doctor may identify internal factors, such as stomach irritation or ulcers, which may prevent you from receiving ORBERATM. You must not receive ORBERATM if you are pregnant, a woman planning to become pregnant within six months’ time, or breast-feeding. Complications that may result from the use of ORBERATM include the risks associated with any endoscopic procedure and those associated with the medications and methods used in this procedure, as well as your ability to tolerate a foreign object placed in your stomach. Possible complications include: partial or complete blockage of the bowel by the balloon, insufficient or no weight loss, adverse health consequences resulting from weight loss, stomach discomfort, continuing nausea and vomiting, abdominal or back pain, acid reflux, influence on digestion of food, blockage of food entering the stomach, bacterial growth in the fluid filling the balloon which can lead to infection, injury to the lining of the digestive tract, stomach or esophagus, and balloon deflation. Important: For full safety information please visit orbera.com/dfu, talk with your doctor, or call Apollo Customer Support at 1-855-MYORBERA.